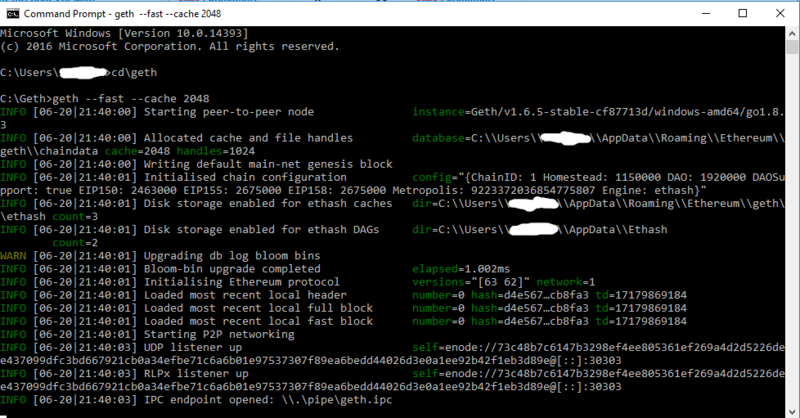 So I haven previously FULLY synced Geth, but this morning I ran my EthereumWallet to sync before I went to school and it started syncing. When I came home I noticed I had 9,000 blocks left but the download had stopped, and I remembered I was only at 13,000 blocks to go this morning, so I know it should have finished. I stopped it and tried to run Geth to sync up but I kept getting stuck at "IPC endpoint opened". I then resynced my clock (which was already synced to nist.gov perfectly) and then I removed my database (removedb) to start again (I've already done this plenty of times and my --fast speed gets it done in a couple of hours, so I wasn't worried. However, even after that (checking different VPN connections to see if it was my internet connection), disabled firewalls (even though I already had this fully synced 2 days ago), I am now stuck on "IPC endpoint opened"
Fixed, had to actually use a different VPN. My school is blocking my apartment. where it hangs there. Same happens in different windows and ubuntu computers. Any suggestions? Found the answer, use geth --syncmode "light" instead.